Equip yourself with the tools and knowledge to align with strategic investors, raise capital, and grow your business. Keith Ippel, Co-Founder and Partner, Spring Activator, has mentored countless startups through capital raising, with $4M raised in 2015. Now he’ll teach you how to be strategic in your investment-seeking methods. With over 20 years experience as a leader in technology centric businesses, Keith has accelerated the growth of both small and large companies, launched new products, and raised over $20m in angel investment and venture capital. He has an unparalleled ability to collaborate with entrepreneurs, employees, and investors to deliver amazing products to the market. Keith is passionate about creating opportunities that previously did not exist for people and co-founded Spring to bridge impact and Technology. 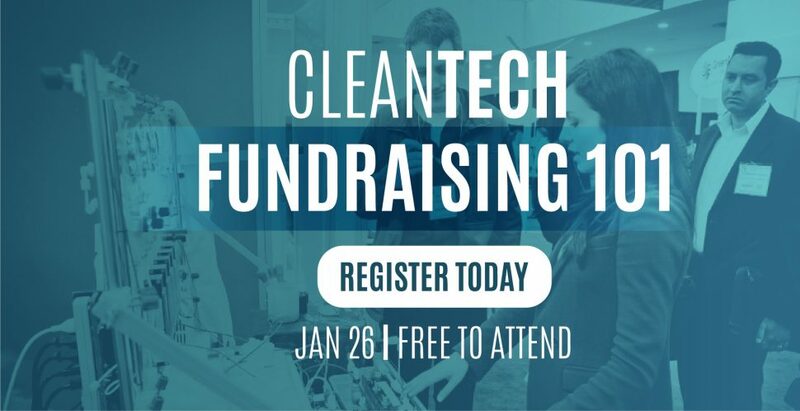 After attending the Strategic Fundraising 101, companies are encouraged to apply for the Cleantech MasterMind Capital series. The series invites investor-ready entrepreneurs to dive deeper into the capital raising process and how to prep for it. Over the 3 weeks following, Spring and select partners will facilitate 2-hour sessions to work through investor profiles & funnels, pitch preparation, due diligence preparation, and negotiation skills. Details on how to apply will follow the Fundraising 101 Session. 16 companies will be selected to participate in the program and some may qualify for the Cleantech Investor Showcase scheduled during the GLOBE Forum, the world’s largest leadership summit for sustainable business, on March 14-16, 2018.